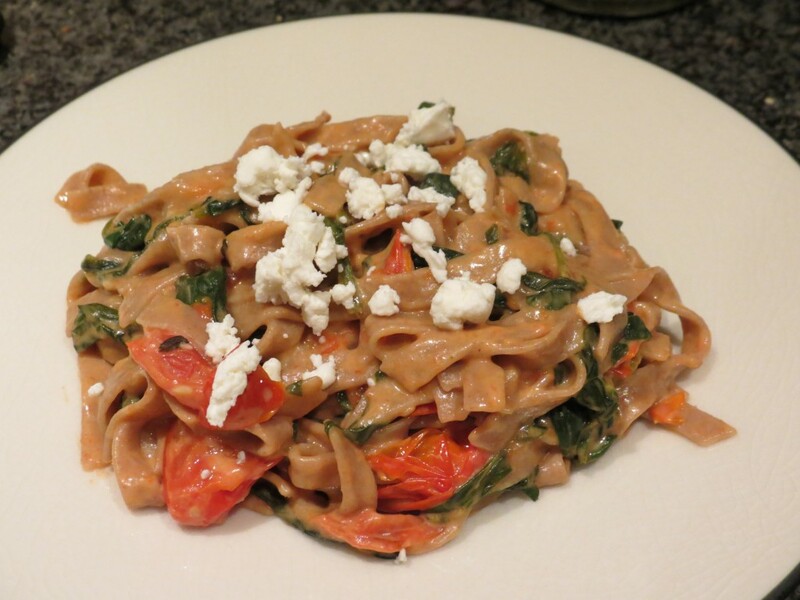 This week we were craving simple, classic, clean flavors and this dish hit the spot. This is a dish I created for the first time with my mother one weeknight a few years ago, and we’ve been re-creating it ever since. It can be ready within 30 minutes and feels much more complex and labor intensive than it is. The part of this recipe that will take you the longest is waiting for the water to boil, so make sure you start there. I used a fresh pasta which cooks in about 3 minutes, but if you were using a dry pasta you’d want to drop the pasta in the water right as you’re starting the sauce. 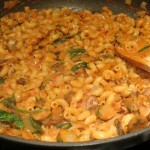 I say sauce in the loosest sense of the word when you compare what we’re creating to most pasta dishes. The key is high heat, and a cover for your skillet so you don’t get attacked by baby tomatoes. 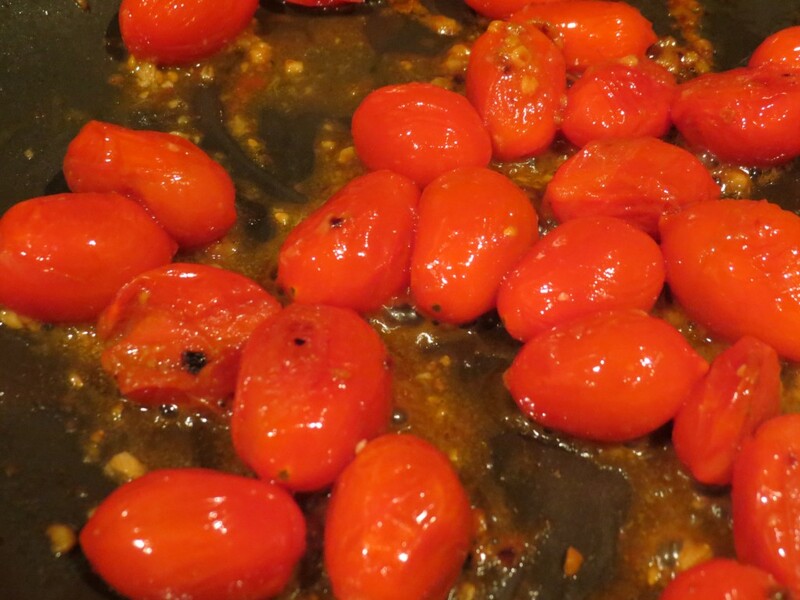 Heat up olive oil in a large skillet. Add garlic and tomatoes and cover for 5 minutes until tomatoes are charred and beginning to burst. 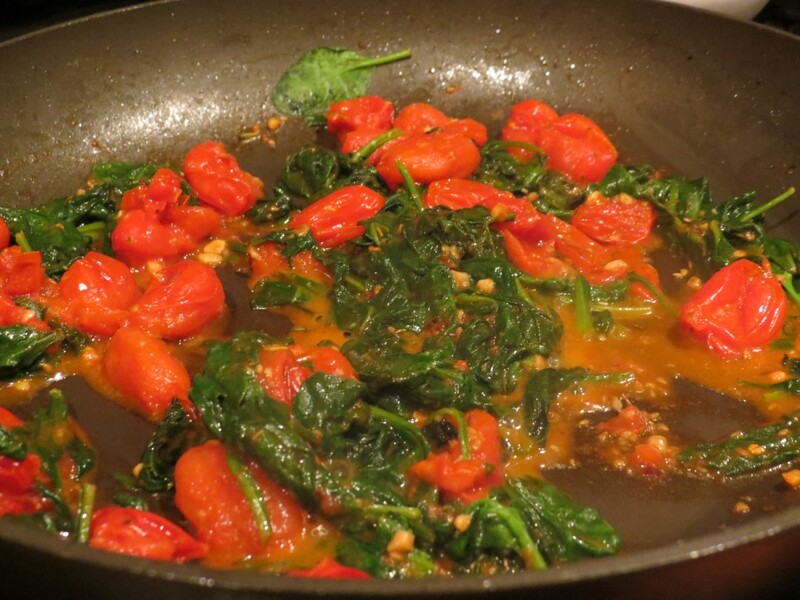 Using a wooden spoon, burst any remaining tomatoes to get the juices flowing and add 3 cups of spinach along with garlic salt, red pepper, and bouquet garni. 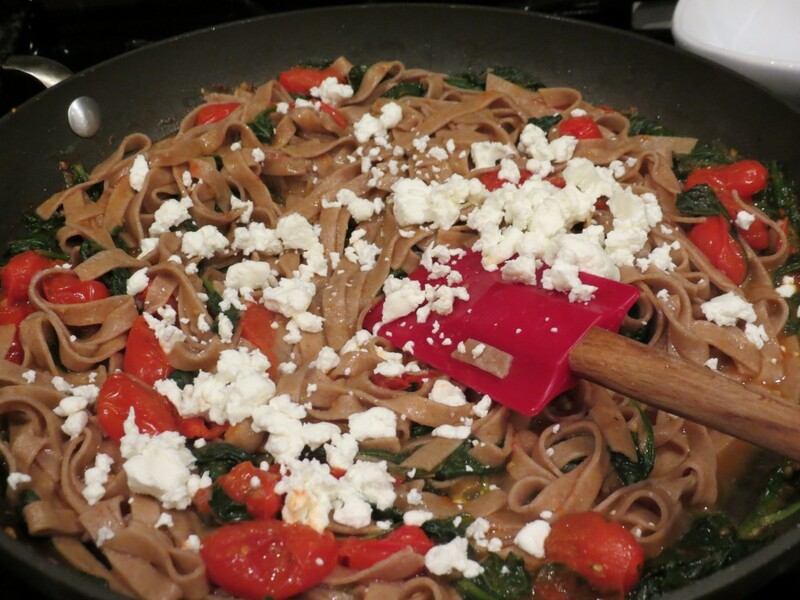 If you are using fresh pasta, this is the time to drop it. 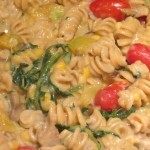 Before you drain the pasta, make sure you reserve at least 1/4 cup of the cooking water as the starch in it can help the sauce bind to the pasta and evenly distribute the flavors. 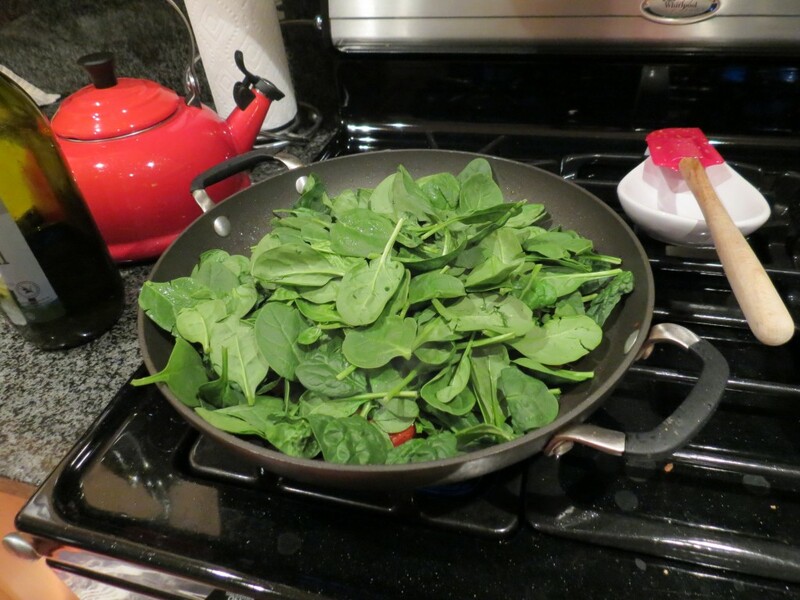 Add drained pasta to skillet with tomatoes and spinach and mix well. Add in 1 Tbsp of cooking liquid to start. 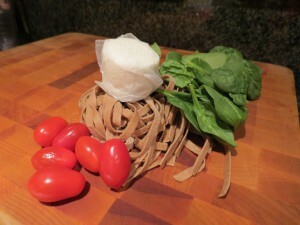 Crumble most of the goat cheese over the pasta and mix so the heat melts and distributes the goat cheese. Save some for sprinkling at the end! Taste and adjust for seasoning, adding additional liquid if sauce is too thick or goat cheese flavor is too rich (is that possible?) If you like spice, you may also want to sprinkle some red pepper flakes on top as well. And if you love cheese, feel free to throw on some Parmesan to add a hint of saltiness. This dish is rich and delicious and perfect for these spring nights when you don’t want to spend too long in front of the stove. It keeps well and makes a great lunch or leftovers!